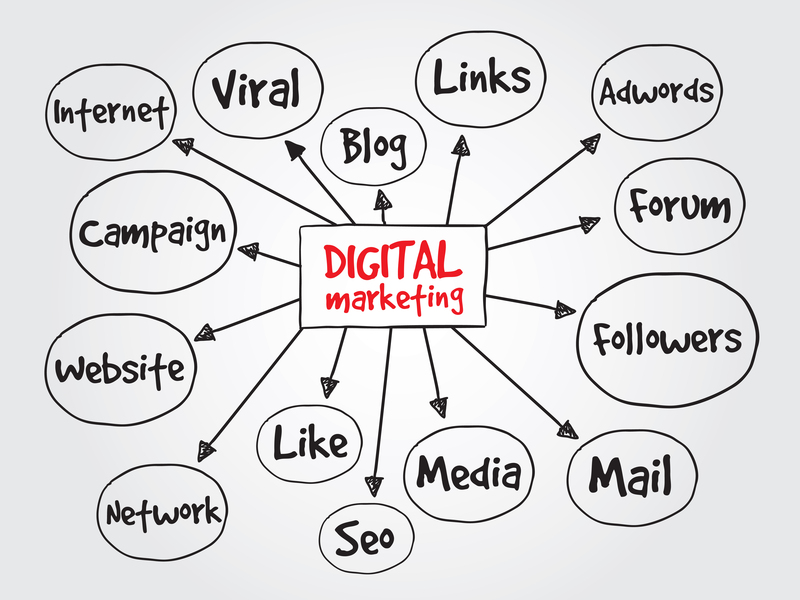 Today, digital marketing has become more and more common in the marketing and sales industry. It’s now very easy to buy and sell products online through websites and social media. If you’ve been exerting all your time and effort in your digital marketing campaign but you’re not getting satisfactory results, then you may be missing these small details that are crucial in your digital marketing success. An office can be a spare room in your house or a space that you’re renting – whatever suits your needs and budget. However, some businesses today, especially the new and small ones, who are focused on digital marketing give little to no importance on having an actual office. You think you don’t need it, but you do. Invest in a fast and reliable good Internet service. Save on expenses by extending your network connection through an ethernet extender. Keep your workspace clean and organized. Having an office will help make your digital campaign more successful, as you have a good and functioning working space. Like any other marketing plan or strategy, a limited scope is still necessary in creating your digital marketing campaign. Having a scope means that you know the ins and outs of your campaign. If you’re still a small company in its startup process, it’s essential for you to be able to identify your scope so you’ll know where to focus your campaign. However, don’t mislead digital marketing as limited to only one platform: social media for example. There’s still various other mediums such as content marketing, video marketing, and email marketing available to name a few. If you would like to focus only on your website for now, then center your marketing plan for that area. Later on, as your company grows, you might be able to reach other media platforms as well. Keep track of your goals and how to attain them. Research on which digital marketing medium best suits the product that you’re trying to introduce. One of the advantages when choosing digital marketing is the lower maintenance costs. Websites are relatively cheap to maintain, while social media and e-mails are free. The workforce that you’ll have to employ will also be limited to a small number. All these savings in costs may lead you to forget about measuring your return on investment. You’re not just there to introduce your products; you’re there to sell them and make a profit. Just like how it’s with traditional marketing, you should also keep business growth in mind. When you think constantly about how to grow your business, you’re able to achieve a return on investment faster. You’ve undoubtedly read all those harsh comments on your site, but instead of replying nicely, you choose to ignore – or worse, filter and delete! This attitude will hurt your digital marketing campaign. You have to be responsive as this feedback from your customers can help you long term. They’re not just trolling you – if that’s what you think they’re doing. Do reply, be friendly, and take all suggestions on board to better your website, business and overall marketing efforts. Your target audience may not necessarily be your current audience. You may have an excellent digital marketing campaign, but if it reaches the wrong audience, it’s not managed effectively. Comparing the analytics data of viewers on your different digital marketing platforms. Most websites and social media platforms provide analytics data for you to study and compare weekly or monthly. You can’t reach senior citizens on YouTube, where most of the users are teenagers and young adults. Stop sending e-mail messages that will just go to the spam folder of your recipient! Studies have shown that consumers immensely love it when companies have a very personal feel to their digital marketing campaign. Customers are happy when they feel like you’re human, too, and not just an ordinary corporation selling out to them for profit. Avoiding sending PR-made auto-reply messages unnecessarily. Gathering as much data as you can about your customers, so you’ll know how to reach them, and respond to them. Sending out birthday gifts and rewards to your customers. Users can get pretty bored when all of your marketing campaigns use images only. Experts found that the chances of potential customers from buying advertised products increases after they’ve seen a video, rather than a photo. From time to time, bless your website and social media accounts with videos and content as well. You have to learn to trust product influencers to help spread the word about your product. Getting the help of influencers will help make your digital marketing campaign easier and more successful. Recent studies have shown that people are more likely to purchase products when they’re promoted by other people, rather than by direct advertisements by the company. They do all the work for you! All you have to do is send them your product, and they’ll market it themselves in their many web platforms. These influencers already have a steady set of followers, which in turn, can also turn to your customers. They can establish rapport and credibility more with potential customers, as their respective subscribers already trust them. Remember that these details, although minute, are all essential to foster company growth. When you can minimize (if not eliminate) these mistakes, you can reach your goals more efficiently.